Routine visits to a dental office are the cornerstone oral health and the foundation of a beautiful, confident smile. 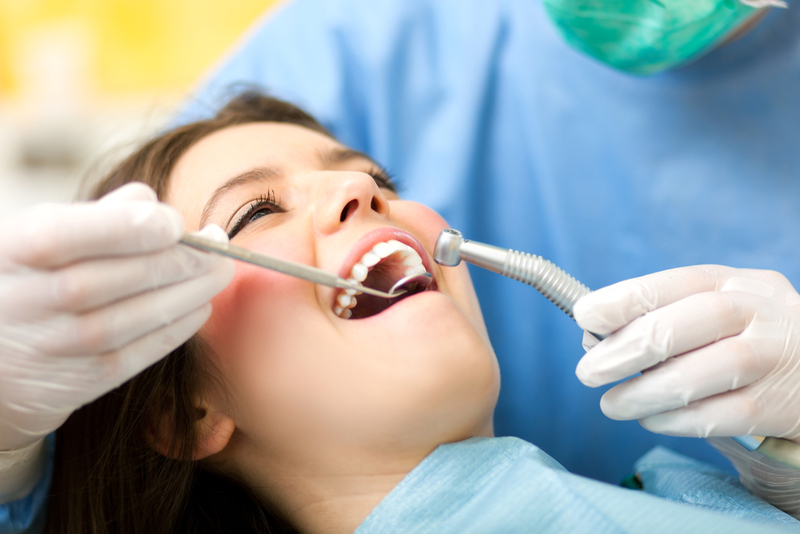 In addition to addressing plaque and tartar buildup, cavities, and gum infections, your dentist can perform cosmetic dentistry procedures such as teeth whitening and veneers. Below are the top reasons to schedule your next dental appointment. Gum disease (or periodontal disease) is an infection resulting from a buildup of plaque around the gumline. Left untreated, it can wreak havoc and lead to tooth loss. Regular cleanings prevent plaque from hardening into tartar, which causes gums to recede. X-rays go below the surface to look at each tooth’s structure, identifying cavities and other potential issues. With your dental images as a roadmap, the dentist can get you back on the path to the best oral health possible. In addition to helping protect and maintain your oral health, a dentist can also correct common cosmetic dental problems. Whether you have a gummy or crooked smile, exposed roots, missing teeth, or gum indentations, ask your dental office what enhancement procedures they perform. Regular dental office visits also provide a necessary check on bad habits that ruin teeth and gums. Your dentist or hygienist will demonstrate how behaviors like smoking, excessive coffee drinking, and teeth grinding have impacted your smile. They can also offer tools to correct destructive habits. Looking for a quality dental office to perform your biannual exams? Residents of Lincoln, NE, turn to Fallbrook Family Dentistry to keep them smiling and satisfied after every visit. Their skilled and knowledgeable team is committed to providing compassionate dental services, giving each patient the attention they deserve. To learn more about Fallbrook Family Dentistry’s general and cosmetic dentistry services, call (402) 467-0007 or visit them online. General vs. Cosmetic Dentistry: What's the Difference? What Are the Dangers of Brushing Your Teeth Too Vigorously?